Our products meet our customers’ demands regardless of how specific their products are. We select materials and technologies that best suit their needs. We have more than 600 customers from Poland and abroad, and our offer is always made to individual specifications. Plant protection products, e-cigarettes, household chemistry, candles and other chemical products used at households require long-lasting and durable markings. 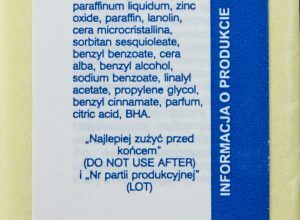 Because these products may contain harmful substances, a large amount of information or instructions must be placed on the packaging, often in different languages. We recommend peel off and booklet labels as an ideal solution. 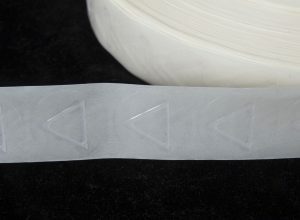 Additionally, to mark hazardous products, customers can choose triangles for the blind as an independent label or to be printed as an element of a colour label. We recommend adhesives that best suit the packaging. The printed area can be protected either by lamination or be performed as a reverse print. Food labels should be appealing and informative. It is also important that the specifications of substrates used in the production process (adhesives, inks, varnishes) clearly state that these materials can safely come into contact with food. We maintain quality standards and control the production process. We use certified self-adhesive substrates intended to come directly and indirectly into contact with food. We offer paper labels or foil labels printed on roll in offset and flexo technology, or digitally printed for short quantity runs. Another option are flexible packaging – we print laminates or paper intended for the production of food sachets. Our personalized scratch off labels or adhesive-free strip, or promotion booklets can be used for promotions. Cosmetic products’ packaging is more and more elaborate, fancy and original. A similar trend is also observed in labels, which are an integral part of that packaging. 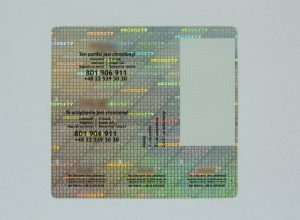 With our technology you will create a unique label. Choose or combine screen printing, offset, flexo and print enrichment, e.g. hot&cold stamping, and we will manufacture your label on one production line. We are committed to providing top quality and precision. We use specialty substrates and perform tests of print resistance to product mass. Our solutions are made to customer offer’s specification. For short quantity runs of cosmetic labels we recommend our digital colour label press that offers excellent quality of print combined with perfect colour coating, similar to screen print. Product positioning via packaging quality, use of unique materials and embellishments are the characteristic features of the alcohol industry. Due to strict advertising regulations regarding alcohol products, packaging and labels must stand out being the main means of attracting buyers. We print specialty materials, mould-made paper, embossed paper, and foil (e.g. clear on clear that appears to be printed directly on a bottle). 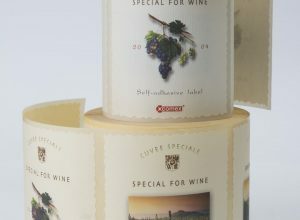 For alcohol labels we use all available techniques: digital print, flexo, offset and screen print; it is also possible to include hot&cold stamping, embossing, scented varnish or other effects, like satin finish. Our rotary offset printing presses enable the highest quality of print with a gradient ranging from 0% to 100%, allowing graphic designers freedom to use shading effects or to include even the tiniest elements. Paper seals, security seals, industrial labels: household appliances, audio&video devices, IT, electronics, logistic labels, etc. 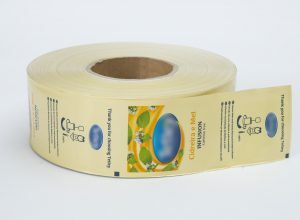 Our labels are always made to customer’s specifications. The most important are the customer’s needs and finding solutions that allow us to meet all criteria. Our technology department cooperates with laboratories that run specialist test. Comex performs ageing tests and uses only certified substrates. Special tasks is our speciality. We deliver proven and customized solutions that meet customer’s needs. Before implementation, we test the set criteria and share results with the customer. We offer labels featuring security systems, use a combination of substrates and integrate labels with RFID solutions. Learn more about our specialty labels. Pharmaceutical products, similar to their packages, must meet the most rigorous control requirements. View the specification for this special industry.